Who’s afraid of the big bad bat? Plenty of thugs who have spent various nights in intensive care units, wondering if it’s time for them to go back to college to become accountants. 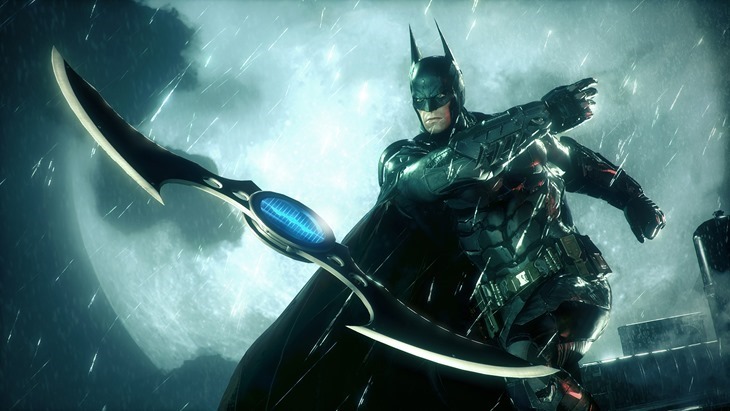 One villain that isn’t afraid of the Batman however, is the titular Arkham Knight himself. In fact, he welcomes a challenge from the Batman, as he happens to have modelled his entire career on an eventual showdown between the two. The Arkham Knight isn’t just another punching bag for the dark knight to let loose some pent-up parenting issues on. He’s a physical match for the Batman, a rogue who plays by his own set of rules and isn’t afraid to get dirty or call in reinforcements. 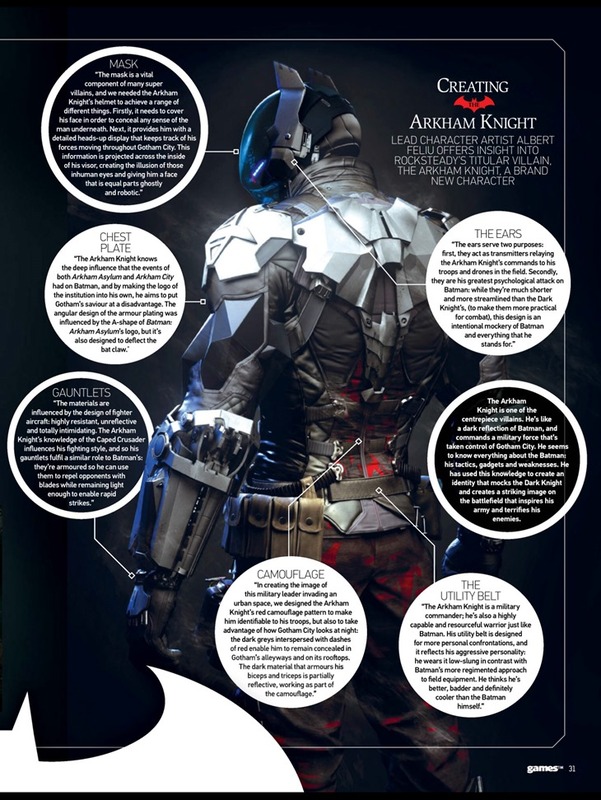 But the Arkham Knight is so much more than just brawn and attitude. He’s going to be a psychological force as well, as he matches his intellect with the Batman, with his entire wardrobe being tailored to take advantage of any lingering mental issues that our dear hero might still be left with after the events of Arkham City. If the Arkham Knight is indeed a brand new nemesis, then I’m digging this idea of making him a true opposite of the Batman, something which hasn’t been seen properly since Prometheus presented himself as a true challenge and negative image of the Gotham vigilante. One particular villain who hasn’t been seen in quite a while however, is the master of fear, the Scarecrow. A fan favourite of the Rocksteady crew, Hill said that the team gave him a game off in order to bring him back in a more meaningful way, as the mad doctor plunges Gotham in chaos. “There’s a few good hooks in Batman Arkham City that pay off in Batman Arkham Knight,” Hill said of the returning villain who was last glimpsed being attacked by Killer Croc in the Arkham Asylum sewers. He has always been one of our favourite characters at Rocksteady, so while it was tempting to bring him back for Batman Arkham City, we decided to give him a game off and bring him back with a vengeance for Batman Arkham Knight. The Scarecrow is a fascinating character to write for. He challenges Batman in unique ways and knows how to use one of the Dark Knight’s own weapons just as well as he does. Scarecrow’s new role suits him perfectly as he becomes the puppet master for the events that unfold over the course of Batman Arkham Knight. We spend a huge amount of time working out ways to keep players on the edge of their seat, and the Scarecrow himself is a master of fear and misdirection. As for Gotham, expect that fabled city to be far bigger and detailed than the previous iterations seen in Arkham City and Arkham Origins. “The new technology has given us the chance to apply our detailed approach to a much bigger world,” Game Director Sefton Hill told GamesTM. Our version of Gotham is teeming with life. While it has been evacuated, it has been completely occupied by the gangs of Gotham and the Arkham Knight’s militia army. There are also many more of Gotham’s most wanted who have crawled out of the woodwork in this coordinated attack to bring the Batman to his knees. Of course, this Batman isn’t going down easy. Even with the Arkham Knight, Two-Face, the Penguin, Harley Quinn and the Scarecrow making a team effort to finally get rid of the caped crusader, this time Batman is at the peak of his abilities and skill. And of course, he has the Batmobile to call upon. In the early stages of the game, Rocksteady wasn’t even certain if they were going to include it. 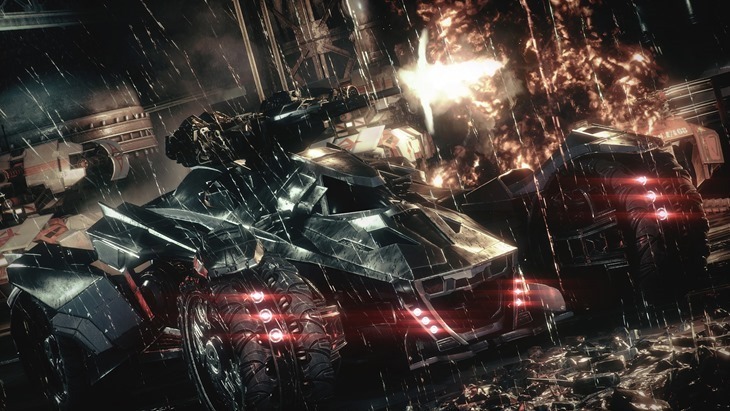 According to Hill in the feature, the team made a prototype Batmobile and inserted it into Arkham City. Needless to say, the tighter streets and claustrophibic layout of that city jail made driving such a vehicle an absolute nightmare. “When we started designing our version of Gotham City, we knew we wanted it to feel like a completely natural setting for Batman and the Batmobile to exist in,” Hill explained. For us, that means creating an environment that’s fun to navigate in all of the ways that Batman uses to get around: grappling and gliding over the skyline, running over rooftops, brawling through the alleyways or tearing through the streets in the Batmobile. Gameplay always comes first for us, so for the first time we have set the game in the heart of Gotham City, which is perfect for Batman to show off all of his abilities. And the Batmobile isn’t a one trick pony. It’s a symbiotic extension of the Batman himself. “The symbiosis between man and machine is a vital aspect Batman Arkham Knight,” Hill explained. Batman and the Batmobile enhance each other’s abilities in a wide range of ways, and they interact in a way that makes the Batmobile feel like another playable character. It’s a totally iconic vehicle, but it’s also Batman’s most powerful and versatile tool. I experienced this first-hand at E3. More than just an intimidating monster on four wheels that looks like it eats Bugatti Veyrons for breakfast, the Batmobile can be remote controlled to help solve puzzles and target enemies with totally non-lethal ordinance. 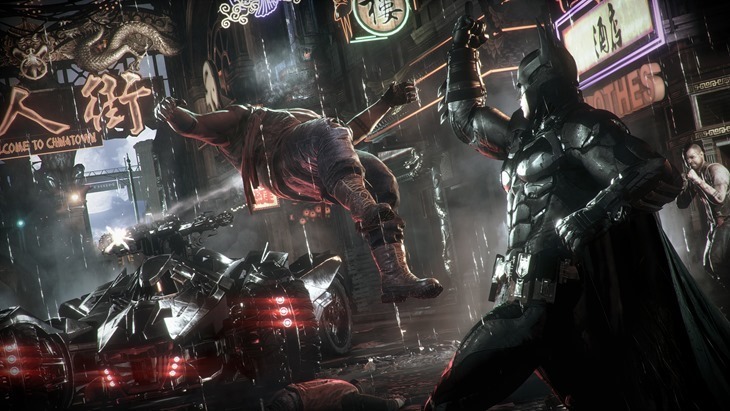 Batman Arkham Knight is out next year. If it isn’t, then I will be dangling upside down in my batsuit outside Rocksteady, threatening the studio. And then asking for help to get down.